Home / Beauty / Liquid Breakfast with Joe the Juicer! Also on the menu was Joe’s ‘Mean Green Juice’ (celery, cucumber, spinach, apple, ginger and lemon) freshly made by The Juicery. Joe spoke a lot about his personal journey as documented in the film, ‘Fat Sick and Nearly Dead’, as well the benefits of juicing and eating a plant-based diet. One of the key points Joe made is that one doesn’t necessarily need to stick to a rigid juice plan to see a change. He encourages people to commit to a simple challenge of adding 1 litre of his ‘Mean Green Juice’ (celery, cucumber, spinach or kale, apple, lemon and ginger) each day to their diet while keeping everything else as it is. He guarantees positive changes with this simple introduction of liquid greens to the body. I woke up inspired this morning and used my brand new Nutribullet to create a concoction of spinach, celery, kiwi, blueberries and lemon. Not the best tasting blend but definitely a super healthy start to my day. Thank you to 108 Marylebone for inviting me to the breakfast and to Joe for the complimentary book which I will most definitely refer to for advice and inspiration. 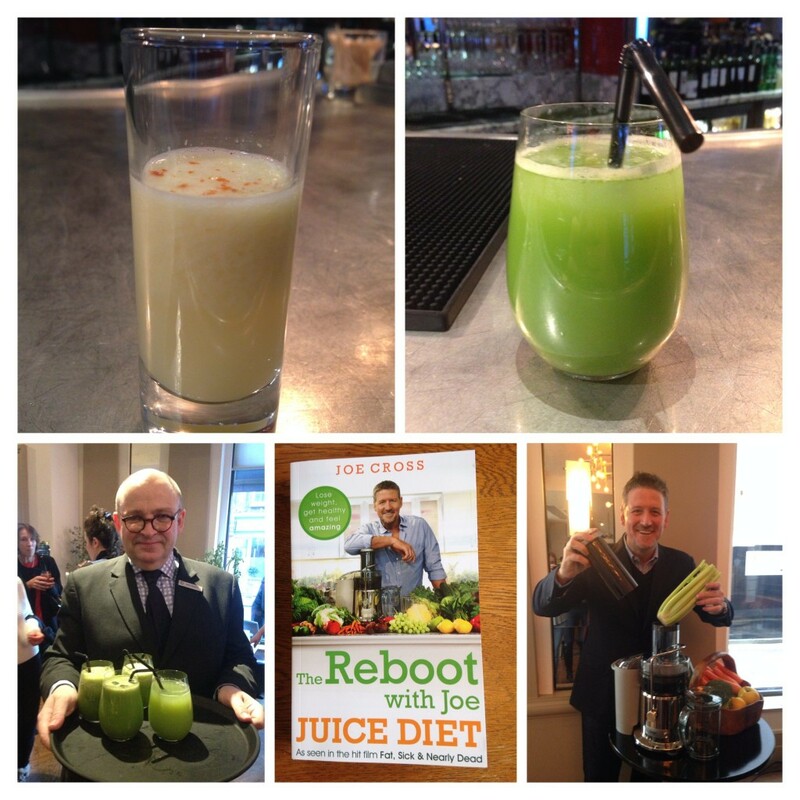 One thought on : Liquid Breakfast with Joe the Juicer! superlike and so inspired, want to start from today itself. Thank you Reema.